Suitable for all levels of riders. Also perfect for non riders. Children are very welcome and suited to this holiday too. 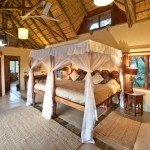 Rates are quoted per person sharing and include all fees including a Rhino conservation fee unless stated. 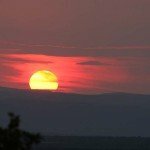 Ants Nest and Hill is a flexible holiday and you can book by the night. We recommend 7 nights to make the most of your trip. 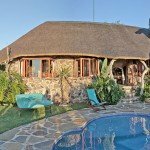 Ants Hill Family Cottage (up to 5 guests) – Rhino fee not included;£13/€16/$20 p person. 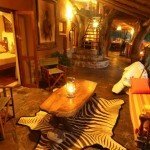 Ants Hill, Superior cottage (World’s View) with own pool (up to 4 guests)-Rhino fee not included;£13/€16/$20 p person. 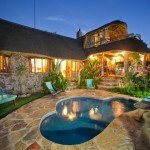 Ants Hill Family Cottage (up to 5 guests)-Rhino fee not included;£13/€16/$20 p person. 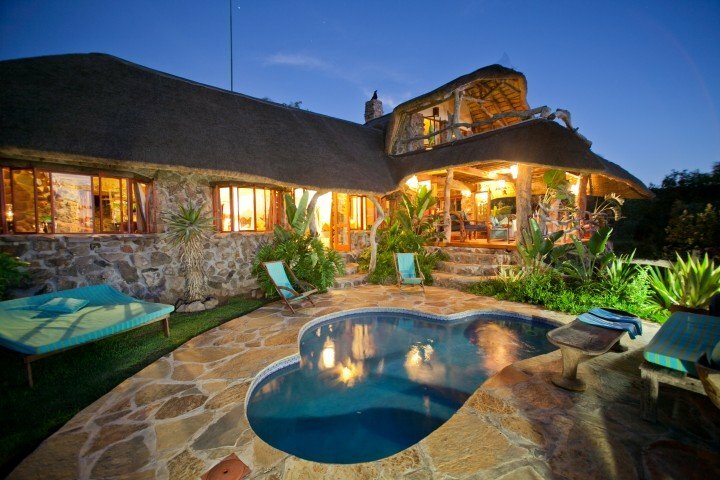 Ants Hill, Superior cottage (World’s View) with own pool (up to 5 guests)-Rhino fee not included;£13/€16/$20 p person. Ask about discounts for 7 night stays, children rates and exclusive use rates. 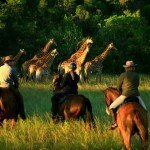 Includes – All the riding, accommodation, meals (note lunch is included on either day of arrival or departure, if you need lunch both days then a fee of US$12 for the extra lunch will be applied), drinks & alcohol, bush walks, game drives & mountain biking, babysitting & laundry. Excludes – Flights, transfers & tips. 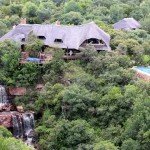 Private car transfer approx 3 hours from Johannesburg airport. £120 each way per car. It is also possible to charter a private plane to Ant’s own private airstrip, please ask us for a quote. 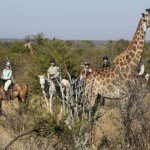 Olympic medallist International Showjumper ‘Cian O’Connor’ travelled with ‘Zara’s Planet’ to Ants Collection, and says of his horse riding safari in South Africa ‘there is a uniqueness to going on safari on horseback that travelling in a Land Rover can never give you…’. 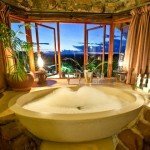 Ants Nest and Ants Hill are two unique bush homes located on their own private game reserves, set in the beautiful and diverse malaria free Waterberg region of the Limpopo province of South Africa. 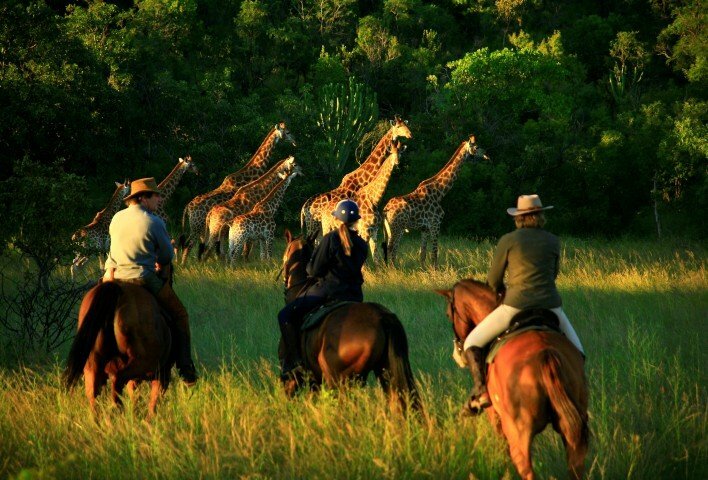 Together, they offer some really excellent, safe riding & game viewing. 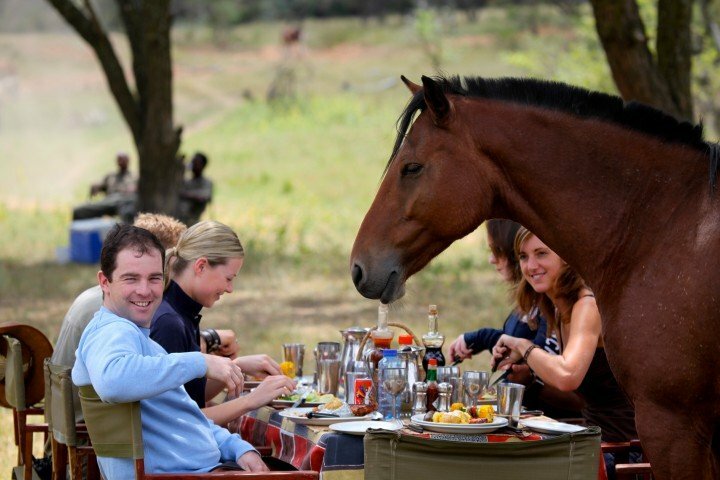 The safari lodges in Ants Collection are very special, each one has been individually, and very tastefully designed by the owners, Ant & Tess Baber – add to that some fantastic personal service and great horses, and you understand why clients return here year after year. Ants Collection boasts a great selection of 90 fit, reliable and responsive horses and ponies. 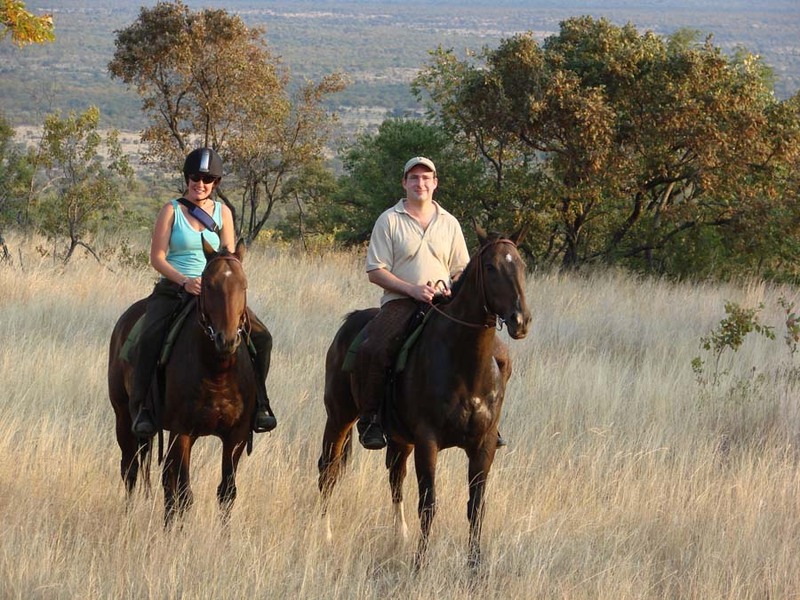 There is no doubt that there is a horse or some horses on the reserve to suit every level of rider – they give great rides and are an absolute pleasure to ride out in the bush. All of them are well trained and behave extremely quietly around the plentiful game. 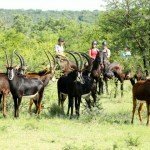 The diverse topography and ecology across the reserve at Ants Collection, which is a vast 12,500 acres means the bush is teeming with a variety of game species, including rhino and buffalo, leggy giraffes, rare sable antelopes & Livingstone eland, herds of eland, zebra, wildebeest, big spiral horned kudu and fleet-footed oryx, just to mention a few. More recently, there has also been sightings of leopard. 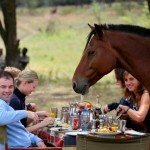 Apart from all the great activities to be enjoyed during the day, like riding, game drives, mountain biking, walks and chilling out by the gorgeous pools, the evenings are great fun too, very sociable with excellent food – think best friend dinner party style with wonderful South African wines. 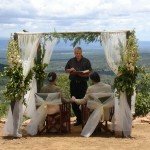 If of course, you would like to enjoy a more personal evening, perhaps to celebrate your honeymoon or anniversary, Ants can also set you up with your dining experience away from the crowd at a secluded spot at the lodge or in your room. 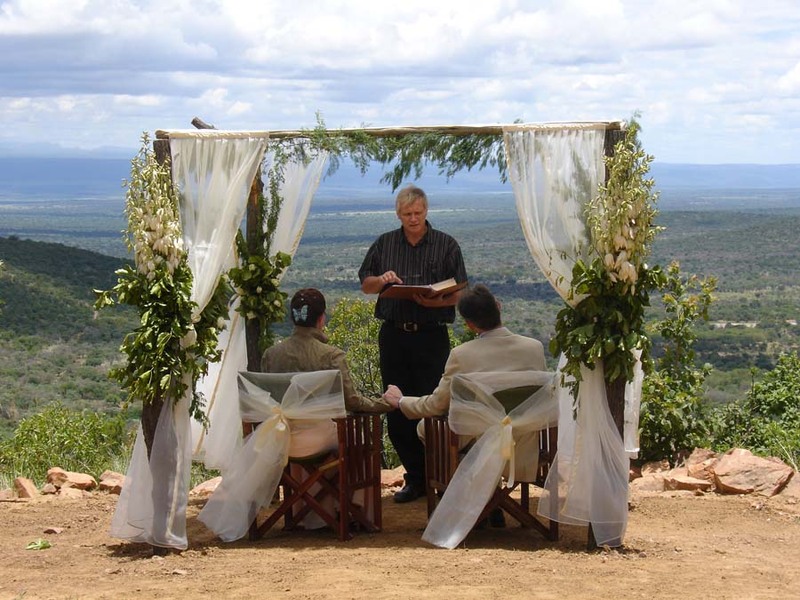 With a guest to guide ratio of 4:1, the service at Ants Collection is top class, and very personal, and we’d also recommend visiting this lodge to celebrate something special like your honeymoon or wedding anniversary. Ants is also very well equipped to host families – children are well catered for with small ponies, kiddy ‘bug’ walks & babysitters! 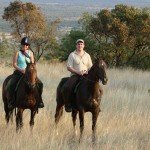 Horses – South African Boerperd, forward going Thoroughbreds, Fresians and exciting cross breeds lie Boerperd cross Fresian & Throughbred. 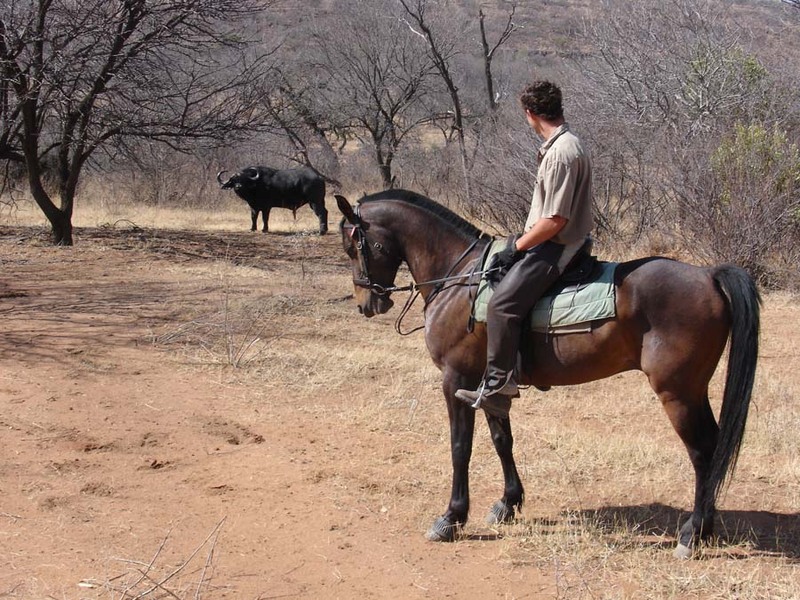 Tack – English style with a mixture of South African Stock Saddles and English. Most horses ridden in snaffle bridles. Weight Restriction – 120kg / 19 Stone / 266 lbs. On this vast, private reserve of 12,500 acres, Ants Hill and Ants Nest are the only properties. The lodges at Ants Collection are beautifully purpose built, using stone from the surrounding area and incorporating trees that support ceilings. They both have pools, some cottages with their own plunge pools and all fabulously decorated with antique furniture chosen by Tess & Ant. 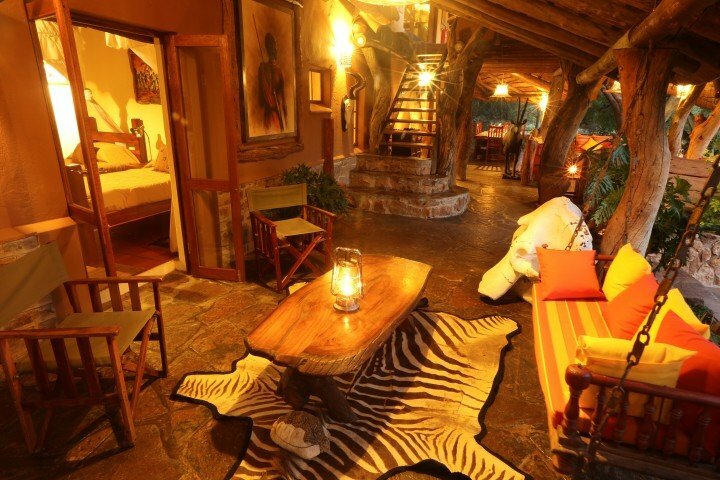 Ants Nest – the original lodge and where it all began. Great pool and outdoor areas, plus this lodge is great for families with kids as it is flat and rooms are closer together. 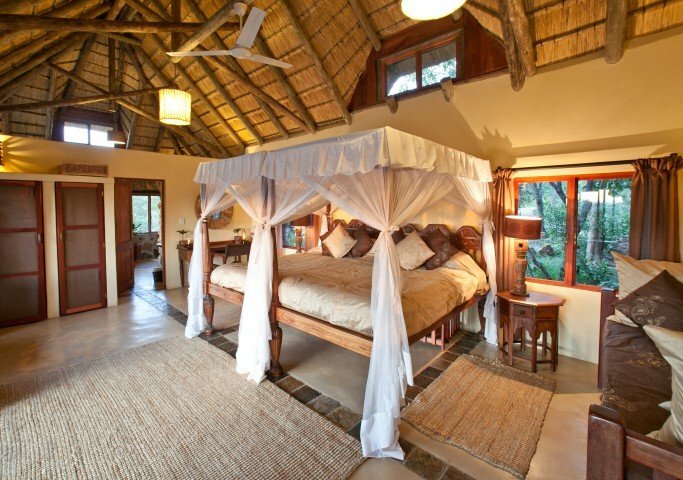 Ants Hill – this lodge is newer and sits on a hill as the name suggests, giving all the rooms great views across the reserve. Again, lovely pool area and outdoor spaces to enjoy. 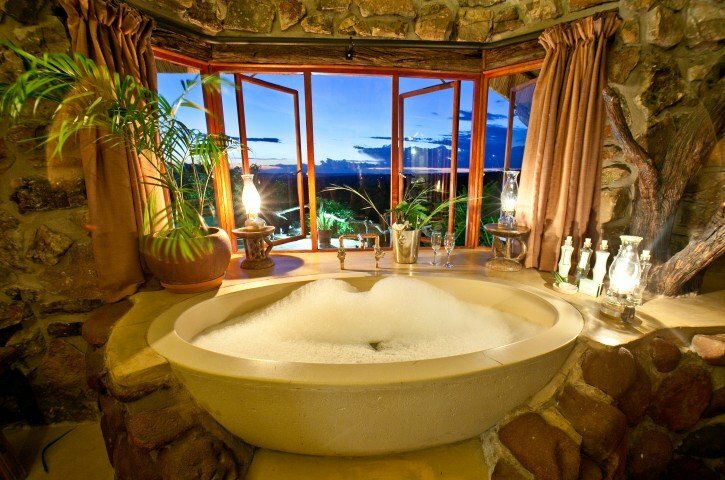 There are several secluded romantic mini lodges here with private pools and baths with a view. Ask us for details. 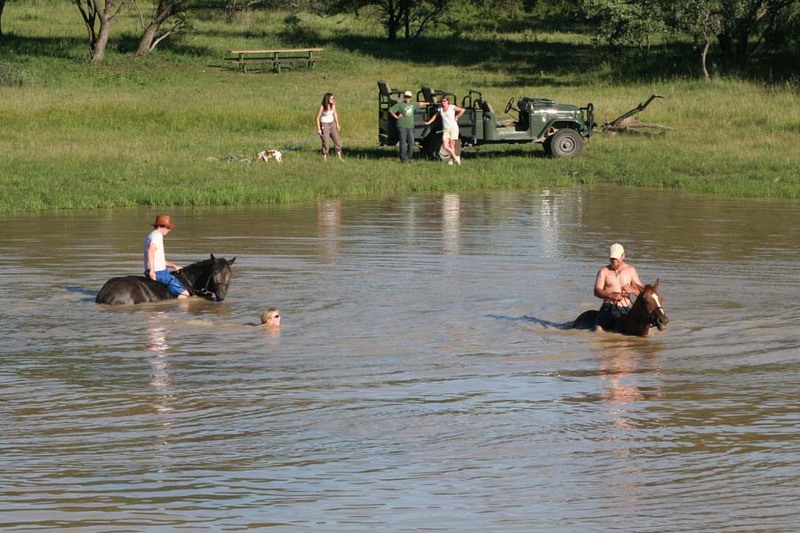 Both lodges have their own horses, stables and paddocks. The food at Ants Collection is great, variety of breakfasts to suit everyone from simple porridge to a full cooked breakfast. Lunchtimes are plentiful, freshly baked quiches, pies and lasagnes with fresh salads, fruit and cheese and for dinners, it’s 3 courses, soups, prawns, beef fillet, some game meat, like Warthog Shnitzel or Kudu or Eland steak with potatoes and fresh vegetables, finished off with cheesecakes and sponge puddings – just think dinner party style – all washed down with a good choice of the best South African wines. 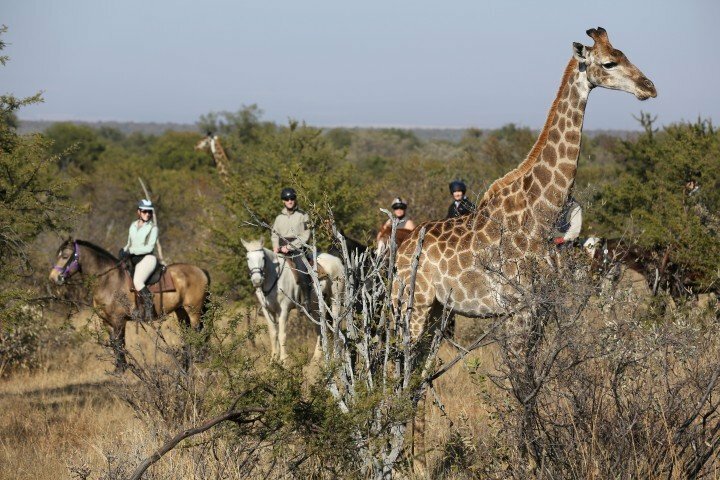 Horse Riding Holidays at Ants Collection is part of the Zara’s Planet collection of Horse Riding Holidays South Africa. 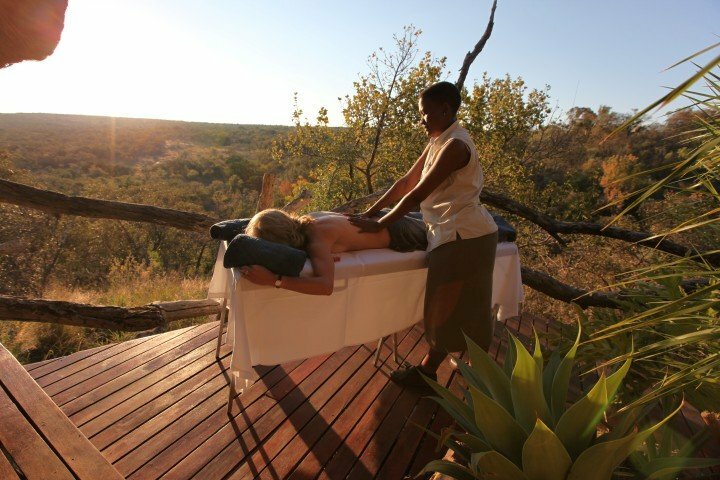 In addition, guests can also have massages, there’s a Big 5 Game reserve nearby you can visit to see animals like elephants and lion. 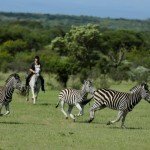 Itineraries at Ants Collection are tailor-made to your individual requirements and include safari rides, games drives, walks and mountain biking. See below 2 very personal accounts of stays at Ants and during the Game Census. 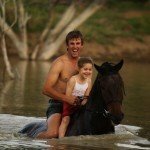 Cian O’Connors (International Show Jumper) Diary of his visit to Ants Collection, South Africa & Benguerra Lodge, Mozambique. The food at Ants Collection is typically African and involves a lot of fresh meat, fish and vegetables. The first day, because there is only a two hour time difference, we went on an afternoon safari as soon as we arrived, but on the second we relaxed with massages on our private deck and a leisurely lunch by the pool. 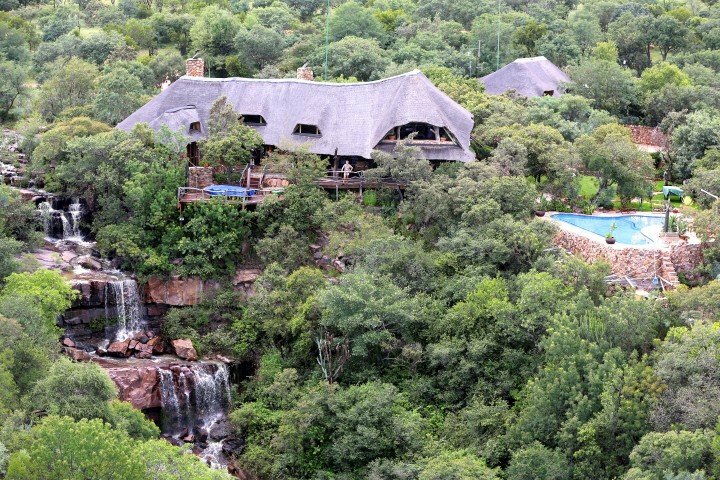 There’s a wonderful backup team at Ant’s Hill that get everything ready for your safari. They say your business is only as good as your staff, and the Babers can be very happy indeed with the level of service politeness and dedication shown by all their staff members. 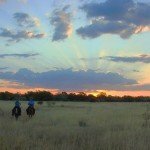 The horses are fit and reliable, and you get equipped with comfortable McClellan saddles, based upon the famous US cavalry saddle which was designed for many long hours of riding, and which are made here locally. 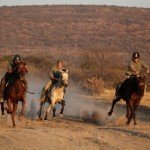 There is a uniqueness to going on a safari on horseback that travelling in a Land Rover can never give you. 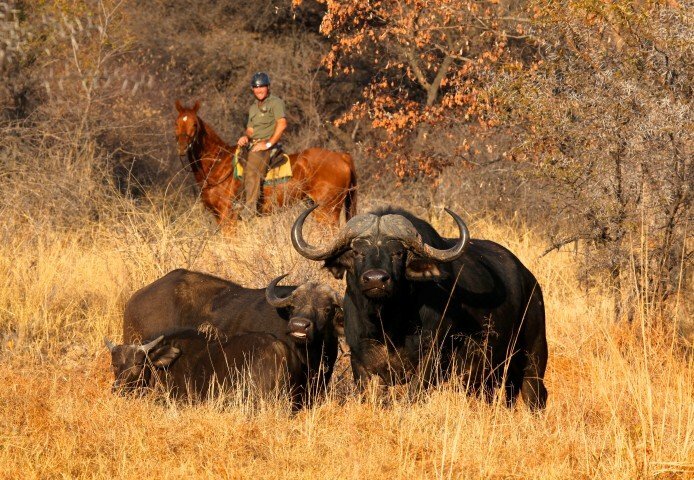 Here you are at one with the wildlife, with nothing separating you from the huge variety of game that trots or canters alongside you, or sometimes just regards you with a baleful eye from the bush – you are never sure if they see you as being one of them, or whether they might want to eat you! Seriously, though, we came across very little actual danger and with experienced guides leading our party Ruth and I felt very comfortable. 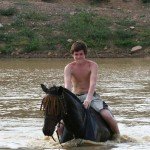 They have horses to suit all levels, but the one they gave me was very fresh – I think they were hoping I would take a tumble, but I didn’t give them the satisfaction! So what did we see? 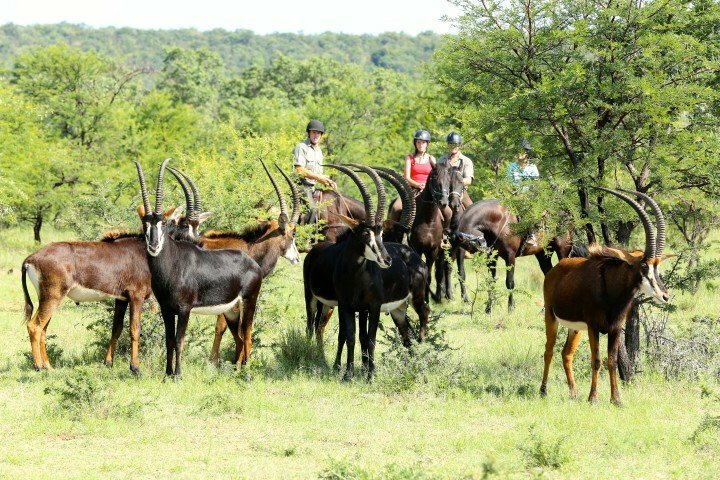 It was more like what we didn’t see – Cape buffalo, white rhino, Livingstone eland, waterbuck, greater kudu, impala, nyala, bushbuck, red hartebeest, Burchell’s zebra, blue wildebeest, gemsbuck, sable antelope, warthog, leopard, brown hyena, bushpig, steenbuck, mountain rhebuck, duiker, klipspringer, caracal, jackal, porcupine, honey badger, aardvark, and a host of smaller cats and animals. There are also over 300 bird species in the area. 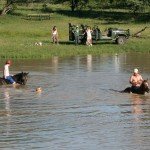 If you’re a family group and some members don’t ride, there are plenty of alternative activities, such as jeep safaris, and safaris on foot. 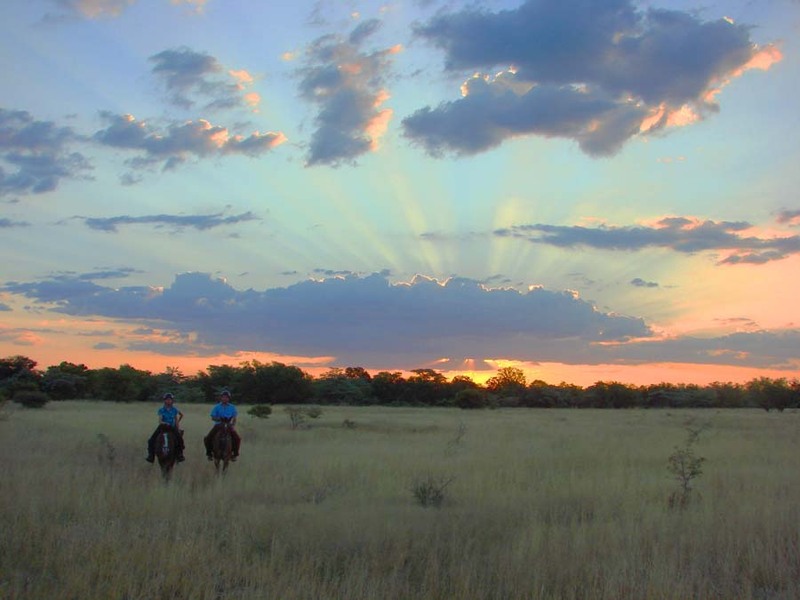 But both Ruth and I agreed that there is a magic in going on horseback, especially when the crew go ahead and prepare a camp where when you arrive you can watch as the sun goes down and enjoy a ‘sundowner’ drink before being taken back to the lodge in a 4X4. 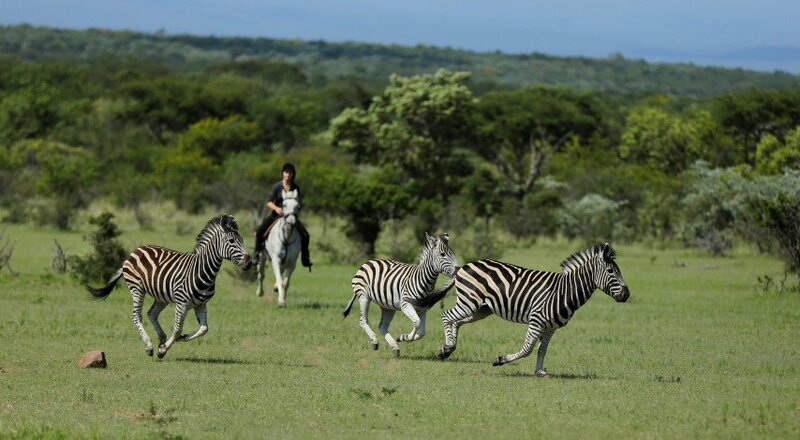 The horses are put out at night into the game reserve, so that the other animals get used to them and are not frightened when they appear the next day with riders on their backs. After the wonderful few days at Ant’s Hill, the second leg of our Zara’s Planet holiday took us by air to an island off the coast of Mozambique called Benguerra, where we stayed at the luxurious Benguerra Lodge, and, as promised in the brochure, it is ‘barefoot luxury’ all the way. This was a very different type of holiday to the safari, insofar as it was pure peace and relaxation. It consisted of the main lodge where the bars and restaurants were, and several casitas (small bungalows) with their own pool and deck right on the beach. The weather was beautiful, and the water warm. And for me, it was just about lying out in the sun and getting away from the real world for a few days. Ruth was a bit more adventurous and went diving one afternoon, and saw stingray and octopus but though she was looking for whale sharks, none turned up that day. The hotel also provides horses so that the guests can have a tour of the island. Benguerra has just 260 families, which works out at 1960 people including children, who live just behind the lodges in pretty rudimentary dwellings, although all seemed very happy and pleased to see us. The main occupations by the locals are fishing and employment in one of the three lodges on the island. Tourism in the lodges also helps with things like funding the small primary school which offers basic schooling for 360 children . Benguerra Lodge is an idyllic getaway with its white sands and turquoise waters – you can forget about the hustle and bustle back home, and with no TV or radio in the rooms at either of the places where we stayed you actually get to know your other half very well, and rather quickly! 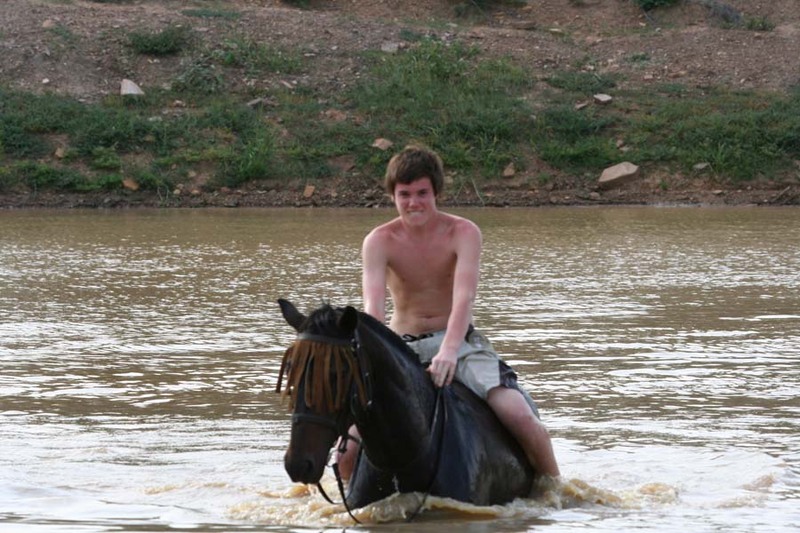 We were thrilled to host Cian on not just one but 2 of our holidays. Thanks Cian for the wonderful write up! ~ Jill & Zara, Zara’s Planet. The game census week at Ant’s Nest was a wonderful mixture of excitement, scientific and ecological interest and fun. 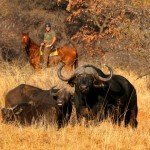 Game capture is a necessary part of the business of running a game reserve. It is also the tremendously exciting, particularly using horses to track the animal. When an animal ‘goes down’ it is important to get there as quickly as possible to keep its head up and prevent constriction of the windpipe and possible death. 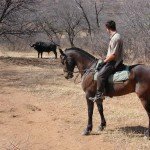 Horses play a key role in this process since they can rapidly cover varied terrain and can usually get to the animal more quickly than a vehicle. 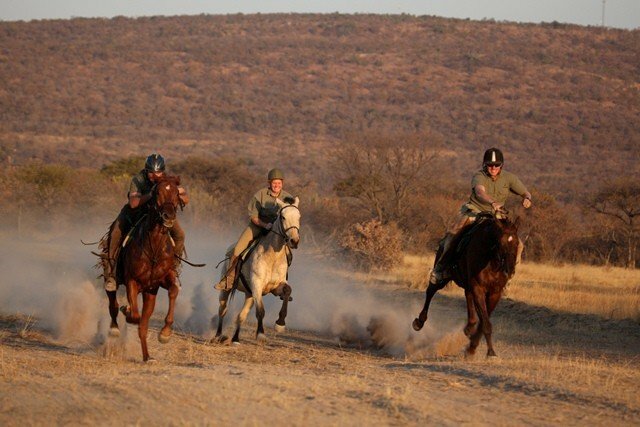 It certainly tests your cross-country riding skills dodging thorn bushes, clambering over rocky terrain and keeping the darted animal in sight. 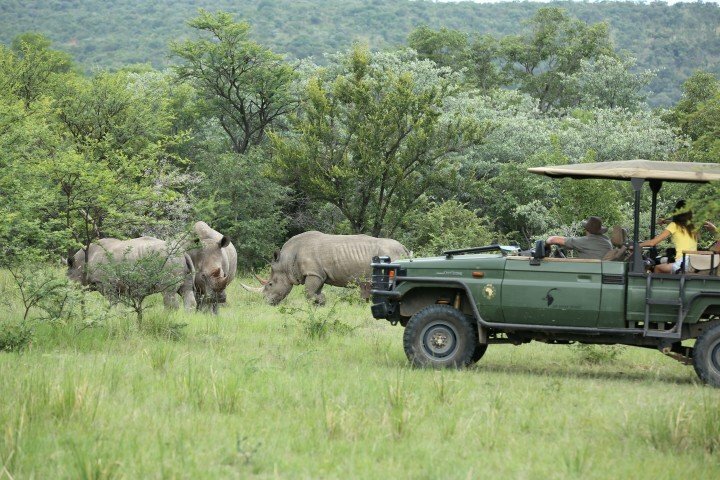 Animals have to be darted for a number of reasons – to be treated for illness, to be moved to another game reserve (e.g. when a young male becomes a threat to the dominant male). The darting at Ant’s was carried out by a local wildlife vet named Paul. It is a skilled operation requiring careful calculation of the dosage in the dart and a steady hand when firing it! Paul exuded a calm and quiet authority as he and Ant directed operations. 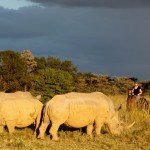 On the first morning a young female white rhino was captured and moved to another reserve: it is important to avoid inbreeding within the herd as she reaches maturity. It was a wonderful experience to be so close to such a magnificent animal. I hadn’t appreciated the scale of rhino poaching in Africa until visiting Ant’s. The black rhino in particular was (and still is) on the brink of extinction. 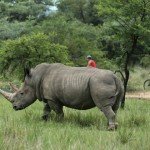 As I understand it, the majority of the African rhino population is now in South Africa with private game reserves playing a significant role in their conservation. 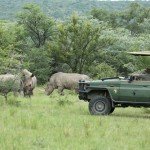 As the week continued we captured eland, sable and giraffe as well as rhino. Each presented different challenges with the giraffe proving to be particularly elusive! Happily the darting and capture was successful in each case with the animals successfully treated and transported as appropriate. A varied programme of events was laid on in the evenings. Ant’s brother in law provided a superb introduction to astronomy with a fascinating tour of the night sky. Planets and stars were projected onto a large screen with an illuminating commentary on their location and significance. 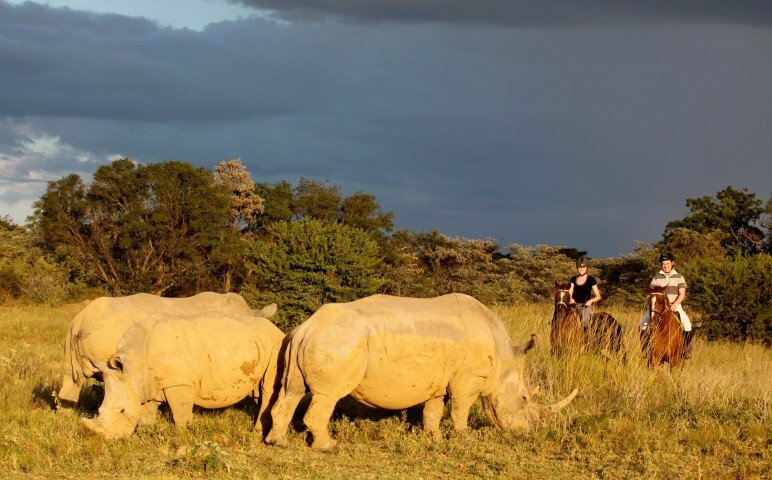 On another evening we were treated to a talk on the efforts being made to conserve and protect the rhino. The social aspect of the week culminated in a dinner and party on the last evening. I think it would be fair to say that the evening, like the rest of the week, proved to be a great success! 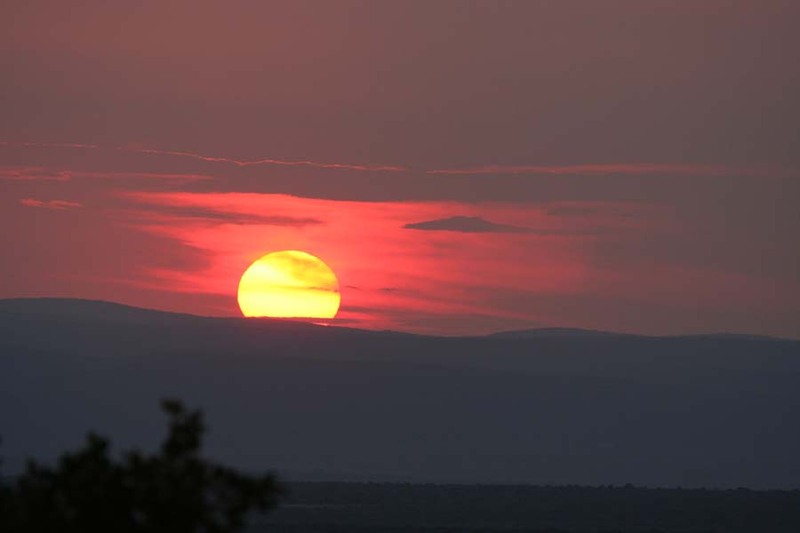 Lapalala is a huge wilderness area of 36,000 hectares in the Waterberg Mountains about an hour’s drive from Ant’s Nest. It has returned to natural Savannah after attempts at farming in the area failed in the 1930’s. 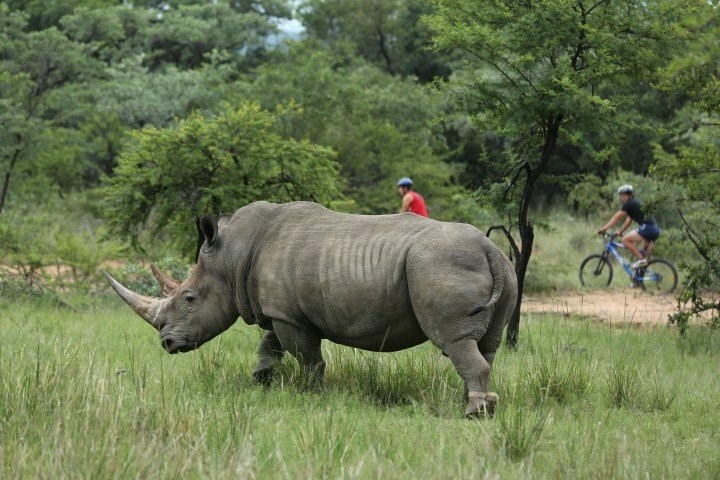 It supports a diverse population of African animals including black and white rhinos, hippos, leopard, giraffe, eland, kudu, impala and many others. 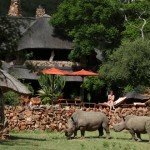 The human population is restricted to a small number of conservationists and rangers and a few lucky guests at the safari lodge. We were a little daunted to find that our guide at Lapalala, Jona, always carried a rifle for our protection. The rifle is rarely used since most animals steer clear of you in daytime but we needed to have a way to deter any particularly tetchy black rhinos that we might come across. Jona led us on a number of hikes through the stunning wilderness. There was an intense contrast between the arid uplands and the rich greenery of the two river valleys that we trekked along. Our visit was at the end of the long dry winter season and yet the rivers were comfortably full with a strong stream flowing through both. Geologically the land has changed little since the original rocks were formed early in the earth’s history: there has been little faulting or volcanic activity in the area. This means that rocks lie in horizontal bands which you can readily see from the valley floor. The hiking was strenuous enough to make you feel that you had accomplished something without being overly daunting. We scrambled down a steep slope towards the valley floor to the great amusement of some nearby gibbons. Although there are crocodiles and hippos in the river, Jona assured us that we could swim happily in shallow pools with a good flow of water through them. I splashed a little in these pools not totally convinced of the absence of large reptiles and mammals! 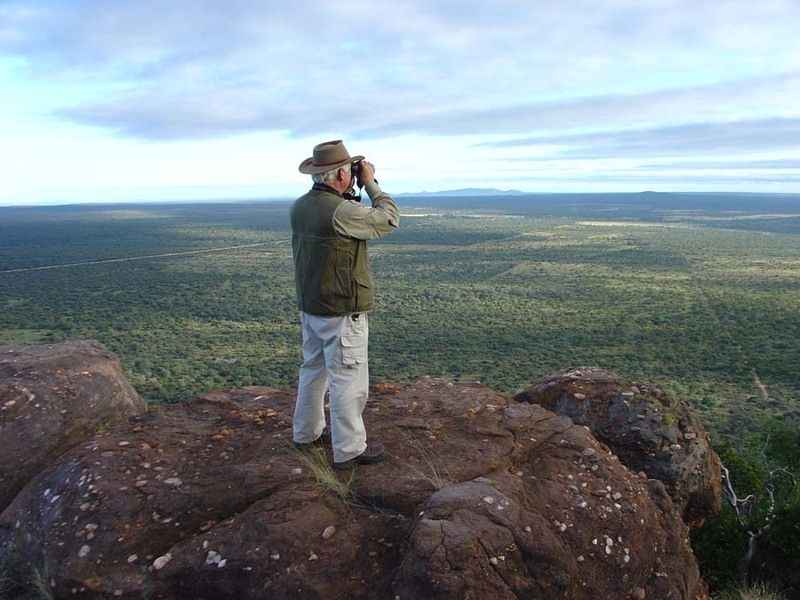 It is a wonderful thing to trek for hours in the bush without coming across another human. 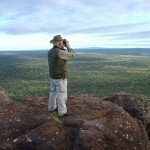 The trek would be punctuated by a soaring raptor, perhaps an African Snake Eagle, or a kudu calling to warn its fellows of the strange approaching bipeds. Hippos stay in deep pools during the day but it was wonderful to see them surfacing for a snort of air in the middle distance. As ever the hospitality under Ant and Tessa’s regime is exemplary. Lunchtime picnics by the river were particularly memorable. The bush home itself is altogether more substantial than the term ‘camp’ implies. I hadn’t quite expected to have an en suite toilet, with all mod cons, as part of one’s tent!